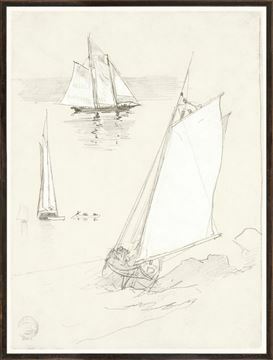 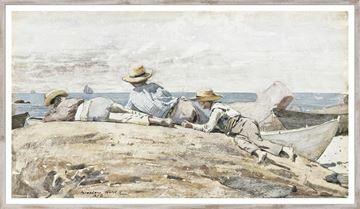 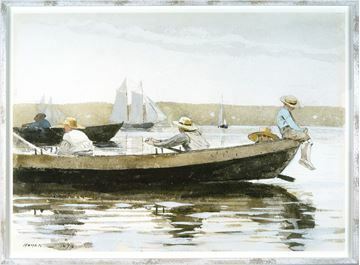 This American Winslow Homer classic is a wonderful example of this masters ability to capture sun and seaside. 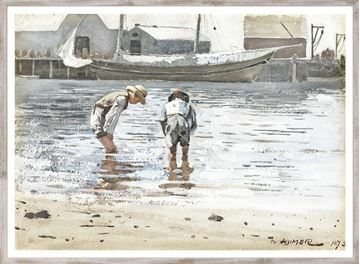 The American Winslow Homer Classic "Boys Wading" is a wonderful example of this Master painter&rsquos fluid and evocative portrayal of the sea. This rendition in soft neutral tones, beautifully captures the bouncing light of the seaside on a lazy day. 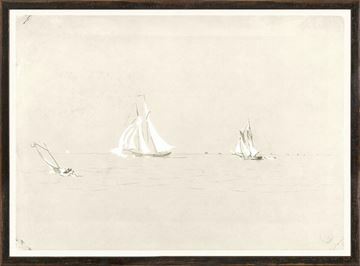 A simple profile in rustic, white washed finish updates the piece.